Having a Cannabis website is much more important than you’d ever thought, there are actually numerous advantages that make having a website more than worth it. First of all, a Cannabis website gets your name out there so that more people can benefit from your products. 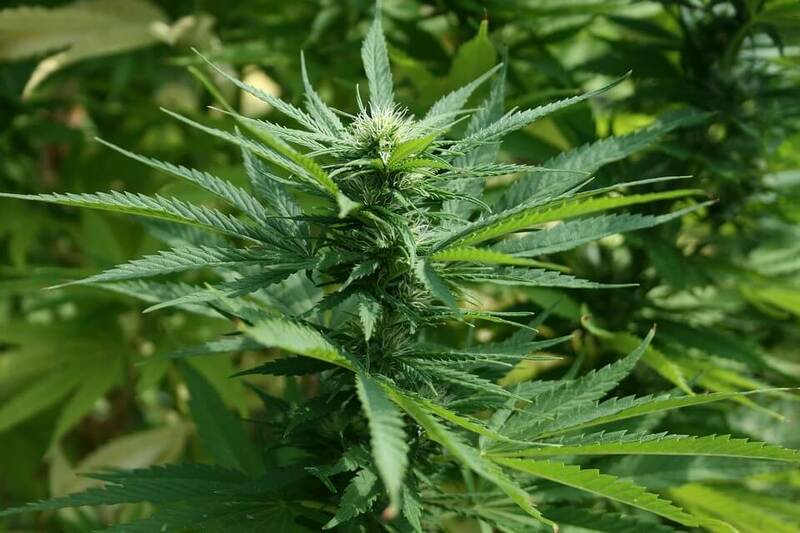 A high-quality Cannabis website incorporates SEO tactics in order to appear at the top of a Google search, increasing the number of people who see the business and, in turn, increasing profits. SEO tactics like targeted keywords, link building, content optimization, classified ads, and even social networking drive customers to your Cannabis’s website. Without a cannabis website and without these features, you’d bring in only a small portion of the business you could potentially have. Another reason to have a cannabis website for your Cannabis Business is to have an edge on the competition in your area. If a person were to search, for example, “dispensaries in Los Angeles” and your dispensary happened to be the only one in Los Angeles to have a professional website, you’d be ahead of every other dispensary around. 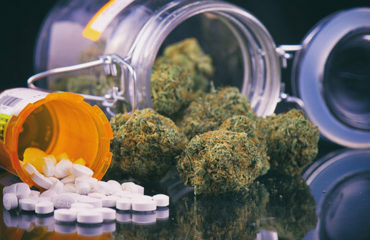 The Internet is used by nearly everyone to search for nearly every topic, including medical marijuana, so it only makes sense to have a cannabis website. A cannabis website also shows customers the quality of your business. A well-designed site reflects positively on the professionalism of your Cannabis business, and an updated “menu” with pictures and descriptions of current products makes the company appear even more legitimate–and it’s very convenient for customers, as well. 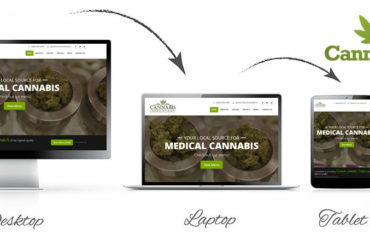 A high-quality cannabis website design also shows cannabis users and buyers that your Cannabis Business is not just targeted to the typical “stoner.” A top-notch website rebrands cannabis and reframes it as something that anyone is welcome to purchase. 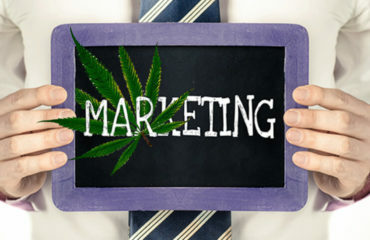 It shows website visitors that you’re focused on providing a high-quality product and don’t discriminate against people who don’t fit the stereotypical “stoner” image. This is important because marijuana is no longer a substance used in secret. It’s used to treat many different illnesses and ailments, and your website should reflect that. Having a professional-looking cannabis website design can make potential users less wary of the substance. Marijuana is now credited with creating jobs and saving lives, and having a website will help to maintain that positive image. Having a domain name specific to your Cannabis Business is extremely important and beneficial. It brings attraction, credibility, and marketing identity to your business. In short, it’s a huge contributor to business success–especially since marijuana is the fastest growing industry in the United States. Customers’ opinions of your cannabis website design will often be the first impression they have of your business; people tend to look on the Internet before searching anywhere else. Therefore, if you have a high-quality site, the first impression will be a positive one and you’re almost sure to make a sale–or at least get your name out there. Cannabis Websites also list important information like location, hours of operation, and ways to contact the business. Social media profiles can be linked to the site for added growth and popularity online. In short, a website is a tool for a Cannabis Business that can bring in business, keep the company ahead of its competitors, fight the stereotypical image of the type of people who smoke marijuana, and aid customers in treating various ailments. Having a website for your Cannabis Business is no longer something that should be treated as an afterthought; it’s a necessary tool for business success. © 2018. All rights reserved.  CannaWeb.